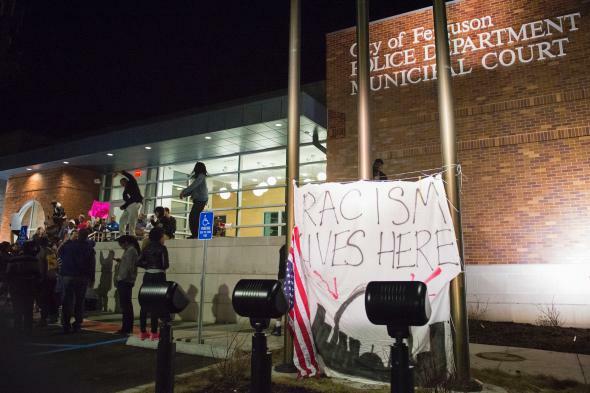 Ferguson municipal court reforms: Victory for protest movement. Protesters outside the Ferguson municipal court and police building in March. Driver’s licenses will no longer be suspended for failures to appear in court or pay a fine. Defendants will not be denied pretrial release because of an inability to make bond. *Correction, Aug. 26, 2015: This post originally misspelled Donald McCullin’s last name.